This report reviews the need for diagnostic radiological physics services in any facility that provides diagnostic imaging or related diagnostic techniques. Based on these needs, the American Association of Physicists in Medicine (AAPM) has developed guidelines for the physics staff and support personnel required to manage the diagnostic image quality, radiation safety, and associated patient care responsibilities of a facility. Such staffing levels can assure the regulatory and accreditation requirements are satisfactorily met. 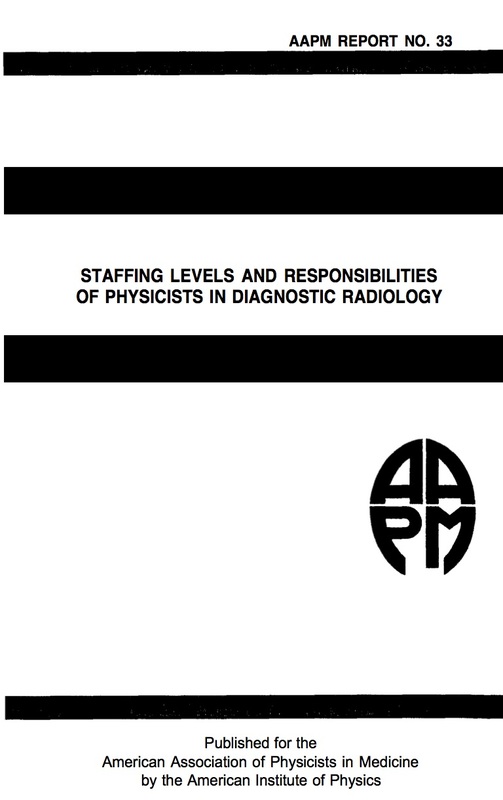 The AAPM recommendations for physics staffing are based upon the type and amount of equipment in the radiology facility. However, the physics services extend far beyond the support of the listed equipment. The equipment merely serves as an index value for assessment of the needed physics staff. The AAPM recommendations are given in Table #1.